The New York Comic Con is only 2 days away. 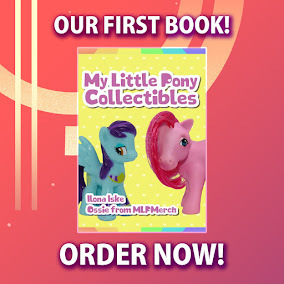 And it seems like Hasbro is going to reveal something during the con. We don't know what exactly. 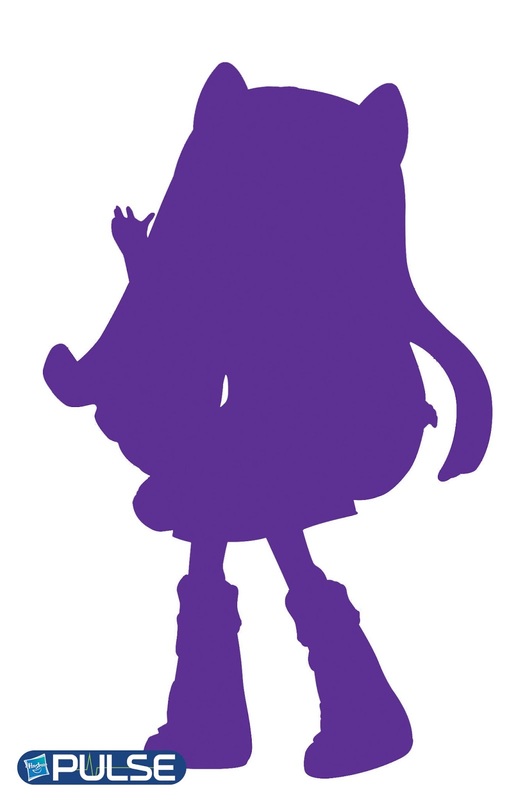 By the looks of it it will be some sort of figure like the Monster High Vinyl figures. 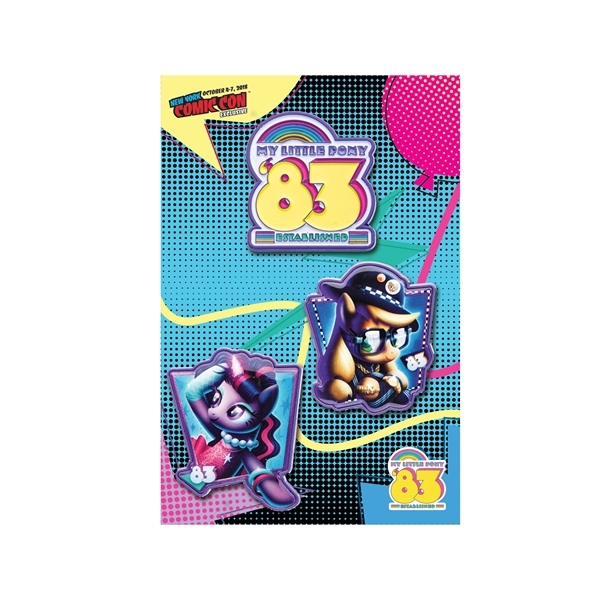 I don't know if some of you remember the fact that listings for Equestria Girls Mini figures has appeared on Amazon some months ago. Perhaps these are the figures. As for the character. There's a very high change it's Twilight but it could be somebody else as well. What about the girl that was revealed on the Legend of Everfree image? A lot of questions to answer but I'm sure we'll know them within a few days during the NYCC. Have the official description from the Hasbro Pulse Website below. Thanks to Wardah for the heads up! It's been a while since we heard anything about all the Funko Rainbow Dash Hikari's. But it seems like a new one has been revealed. 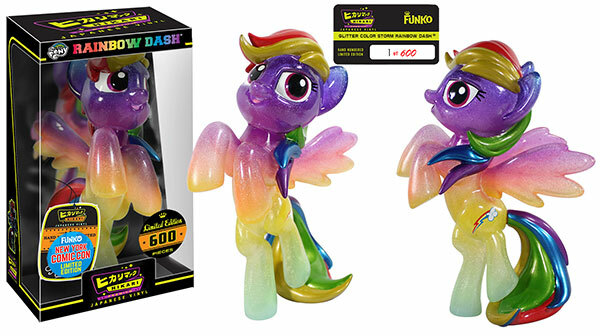 We already saw her during the NY Toy Fair this year but now one of the Gradient Rainbow Dash' has been revealed to be a NYCC 2015 (New York Comic Con) Exclusive. Only 600 pieces are made. The New York Comic Con will be held on the 8th of October until the 11th.